One of our aims in the Abortion Rights Campaign is to campaign for real and realistic access to abortion. Another is to remove the stigma and shame around abortion care. We know that a modern, equal, progressive Ireland includes abortion access. There is no perfect number of abortions, just like there is no perfect number of any other medical procedure. What we need is access to abortion for everyone who wants or needs one without judgement or shame. The Taoiseach’s comments last week during the government press conference to announce plans to hold a referendum are welcome, but his use of the phrase ‘safe, legal and rare’ is one that should cause pause for thought. It’s vital that in the ensuing campaign to repeal the 8th Amendment we avoid shaming those who have made the decision to have an abortion, or those who may need one in the future. The reality is that abortion in this country is not rare. At least 12 people a day travel to the UK to access the healthcare that they cannot receive here and increasing numbers are taking safe but illegal abortion pills at home. What message does it send to those people when we say that their decision is undesirable, that they are part of a problem to be minimised? What does it say to the people who will have to travel between now and the referendum? It says that their decision is one that we only tolerate, not one that is theirs to make, free from prejudice. We should do better than this. We would love to see a system of universal free contraception, as recommended by the Joint Oireachtas Committee, introduced. However even if we achieved this, there will still be a need for abortion. No contraception is 100% effective; morning after pills are not 100% effective. Not everyone can use hormonal contraception due to side effects. We have always and will always need abortion. Even if every pregnancy was a wanted one, due to health complications or fatal foetal abnormalities we would still need abortion. It’s a normal part of reproductive healthcare and a normal part of maternity care – and if we accept that abortion care is part of healthcare, between a woman and her doctor, then it should be provided as needed. What other forms of healthcare are rationed based on public perception, rather than provided as needed? None. Abortion pills are part of the World Health Organisation (WHO) core essential medicines list. This list comprises medications thought to be the most effective and safe to meet the most important needs in a healthcare system. Abortion is not rare — it is a basic necessary requirement for a healthcare system. 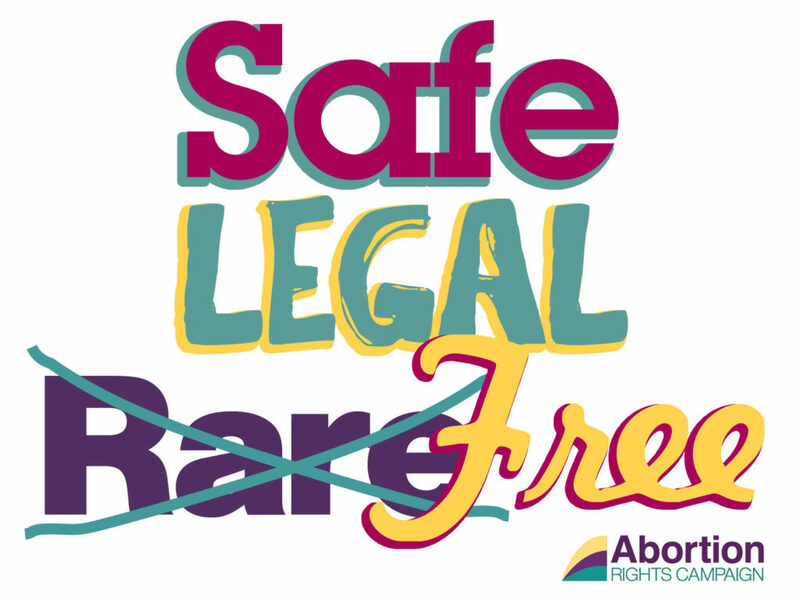 We at the Abortion Rights Campaign use the phrase ‘Free, Safe, Legal’ because we don’t want anyone to be left behind. Barriers to accessing abortion care, like economic barriers, may make abortion ‘rare’ but it also means not everyone has access to the care they need. Abortion is not something to be ashamed of. It’s a normal part of many people’s reproductive lives. The language used over the coming months should reflect that. It’s time to end abortion stigma.